The United States has unfinished business with Canada's supply-managed dairy, egg and poultry sectors. After Washington bailed on the market access it gained in the Trans-Pacific Partnership, it's coming back for more in NAFTA. Here's how things might play out. 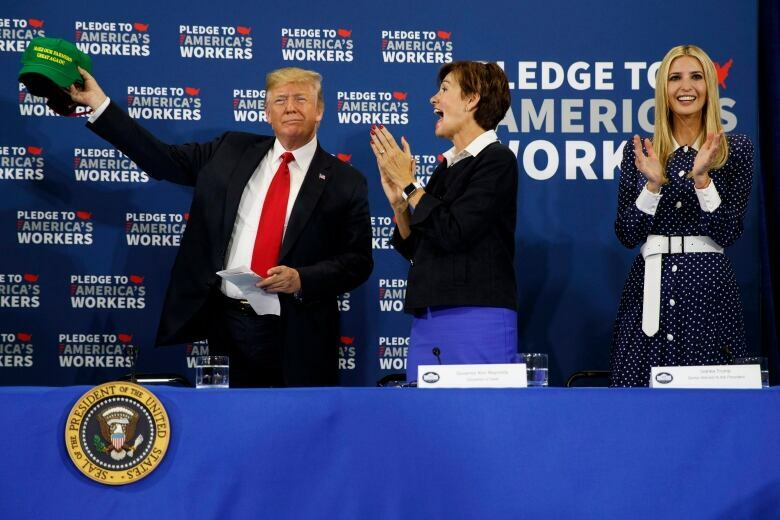 The United States has unfinished business with Canada's supply-managed dairy, egg and poultry sectors if bargaining to modernize the North American Free Trade Agreement gets down to the short strokes this fall. U.S. farmers could have sold more of their products into Canada under the Trans-Pacific Partnership, a trade agreement between 12 Pacific Rim countries negotiated during the Obama administration. But President Donald Trump pulled the U.S. out of the deal in his first week in office. Now he's out to redeem himself at the NAFTA table — or force even more out of Canada, after imposing previously-unthinkable tariffs on steel and aluminum and threatening to do the same to cars. "Canada knew going into TPP that the price of entry was going to be doing something on dairy," said Bob Wolfe, a professor emeritus at Queen's University who has studied agriculture trade policy since the 80s. "Everybody in [the United States Trade Representative's office] knows that Canada blinked on [supply management] before, and will blink again — and given CPTPP, has a pretty good idea what the Canadian blink will look like." Under the CPTPP — the Comprehensive and Progressive Agreement for Trans-Pacific Partnership, the modified version of the TPP being ratified by the remaining 11 countries — Canada creates 20 new tariff rate quotas (TRQs) allowing limited quantities of dairy, poultry and egg imports, to be phased in over 11 to 19 years. The dairy concessions represent about 3.25 per cent of Canada's market. In CPTPP consultations now underway, farms and other businesses can describe how they'll be affected by the quota changes and state what government help they'll need to adapt — through the allocation of import permits, for example (recall last summer's debate over who gets to import European cheese) or financial assistance. Dairy farmers are known for insisting "the sky will fall because of this and we're going to need a lot of compensation," Wolfe said. It's easy to imagine Fonterra, New Zealand's dairy monopoly, already packing its first shipping containers of butter. But not all products covered by Canada's supply-management system are ideal for shipping across the Pacific. Fresh milk doesn't travel well. A carton of eggs is a low-margin commodity unlikely to absorb huge shipping costs. "Negotiators are highly conscious of who can supply in any given tariff line," Wolfe said. When the TPP was negotiated, in other words, Canada knew that the increased quota space for the most perishable supply-managed products was going to be filled solely by American farmers a short drive away from key Canadian markets, like southwestern Ontario. When the remaining TPP countries decided to proceed without the U.S., no TRQ was revised or suspended. Without American suppliers, it's hard to imagine all of that quota being used. Instead, American expectations are "simply (being) transferred to NAFTA," Wolfe said. Al Mussell, research lead for Agri-Food Economic Systems in Guelph, Ont., said it's in the United States' interest to "completely disassociate themselves with what they obtained in the TPP ... just pretend that it never happened." That's what seemed to be happening last fall, when CBC News reported a source saying that an early U.S. negotiating position asked Canada to give up 10 times what it conceded on milk in the TPP talks, and to phase out supply management entirely within a decade. The pitch was dismissed by Canadian negotiators. The U.S. needs to export milk to deal with its chronic oversupply problem — one that Canada avoids with its strict production quotas. Mexico recently added a new tariff on American milk in retaliation for U.S. steel and aluminum tariffs, making Washington's push for more exports even harder. One possible Canadian response to another American request for market space could be "we gave at the office," Mussell said. "We gave you access and you walked away, so no — if you want to come back, it's there [in the TPP]." 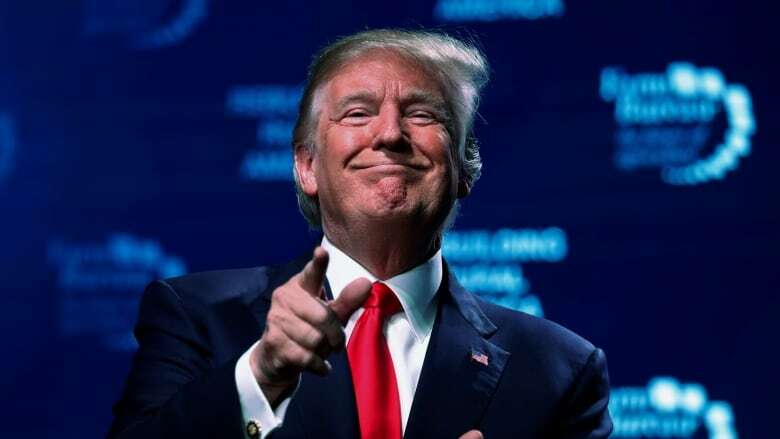 In the meantime, other countries will supply most of the CPTPP imports, he said — raising the possibility that Canada won't have room to concede much through NAFTA, at least based on its TPP-era calculations of what Canada could afford. A big American ask, followed by a smaller Canadian give, would mirror what played out in the TPP's endgame in 2015. Canada was in the middle of a federal election campaign at the time. 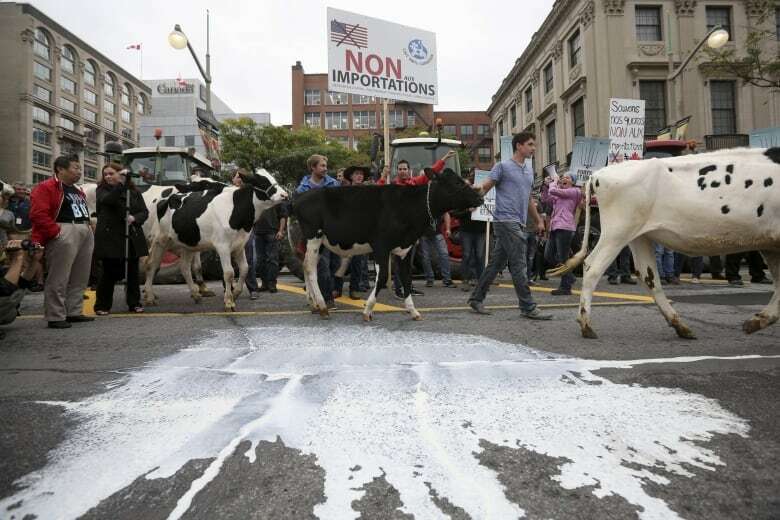 A report that the U.S. wanted 10 per cent of Canada's dairy market brought farmers, and their cattle, into the streets in Ottawa. That provided Canadian negotiators with a helpful visual to drive home the message they had to deliver to the Americans: large concessions are politically impossible. 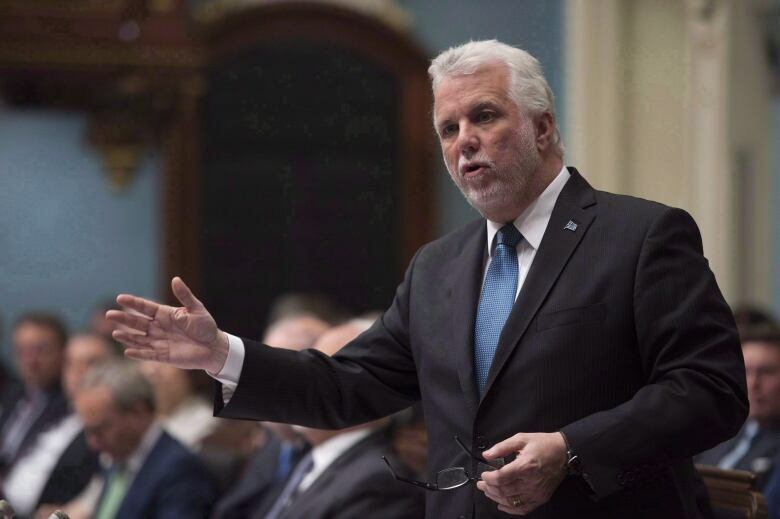 Quebec voters head to the polls this fall, and the next federal campaign is just a year away. Up to now, it's been Mexicans and Americans eyeing electoral consequences. Soon, it will be Canada's turn. Quebec nationalists have always been staunch defenders of Canada's supply management system. A Bloc Québécois media release this week warned about the views of former prime minister Brian Mulroney, who has advised the Trudeau cabinet on the NAFTA talks. In a February speech in Winnipeg, Mulroney said ending supply management would be good for processors and make food more affordable, but farmers would have to be offered enough compensation to make them "very happy." "Getting rid of it means getting rid of $25-30 billion in quota values," Wolfe said. "From the standpoint of the federal budget, you wouldn't want to absorb that ... I've yet to see a realistic policy as to how you could unwind the quota in a way that wouldn't blow the fiscal framework." Bernier touts himself as the only politician to want truly free trade with U.S.
A joint statement from Quebec Premier Philippe Couillard and Ontario Premier Doug Ford at last month's summer premiers' meeting "emphasized the importance of supply management to the Canadian economy." Since Quebec dairy farmers helped a Conservative win a riding away from the federal Liberals in a June byelection, Prime Minister Justin Trudeau appears to have been paying more attention to the supply management file. He recently recorded a message for the Dairy Farmers of Canada saying his government would "protect and defend" supply management, "and that includes at the NAFTA table." "I think Canada will have to concede plenty in order to have an agreement with the U.S. because we are the weaker partner," said Sophia Murphy, a B.C.-based senior adviser with the Institute for Agriculture and Trade Policy. "In the end, this is a losing game if, every time there's a negotiation, they give up another two, another three and another four per cent," she said. "There's a larger question eventually about whether this works for us." And yet, Canada's marketing boards do prevent overproduction — something that plagues countries that liberalize their agriculture trade and depresses world prices. U.S. farmers get huge subsidies from the taxpayer to stay afloat. "The United States is not about trying to get Canada to ditch its supply management system," U.S. Agriculture Secretary Sonny Perdue told CBC News in June. Two aspects of Canada's dairy system do frustrate the Trump administration, and congressional leaders like New York's Chuck Schumer and Wisconsin's Paul Ryan. The first is what's referred to as "class 7," a recent pricing change based on an agreement between farmers and dairy processors to lower the price of ingredients. It made Canadian products price-competitive, squeezing out U.S. diafiltered milk that had been coming in tariff-free by exploiting a loophole in the tariff schedule. Earlier this year, Couillard met with Americans and, in a later interview with Bloomberg News, floated the idea of doing something about class 7 while making sure farmers were "adequately compensated." But the ingredient pricing change is key to stabilizing Canada's market. Without it, high processor demand for butterfat creates unsustainable surpluses of skim milk products. Because of that, ending class 7 would be "really costly," Mussell said. "More costly than an access play." Instead, Mussell pointed to another possible source of trade concessions. It's Trump's other obsession: the "270 per cent tariff" Canada imposes on U.S. dairy products. That tariff applies to imports above the TRQ volumes. Its purpose isn't taxation; no one really pays it because it basically blocks imports. Mussell pointed to research by Larry Martin at the Macdonald-Laurier Institute suggesting the tariff rates that protect supply-managed sectors are so large they could withstand a cut without substantially harming Canada's industry. In a NAFTA context, global trade rules may allow Canada to have a special tariff rate for the U.S. alone, Mussell said. Rather than being guaranteed a designated slice of the market (the liberalizing argument goes), Americans would have to compete for it at new rates, offering the domestic industry incentives to innovate. And Trump could brag about winning a big tariff cut. But supply management's defenders say that's the top of a slippery slope, one that could undermine Canada's production and price controls. Currently, NAFTA consists of three separate bilateral agreements on agriculture — one Canada-U.S. deal (dating back to their first free trade deal), one U.S.-Mexico deal and one between Canada and Mexico — reflecting the fact that, when it comes to farm goods, each trading relationship is unique. This week, the U.S. and Mexico continued to meet over serious differences on the automotive chapter. An American concession on something Mexico wants for its horticulture sector may grease those wheels. As what trade negotiators call the "sequencing" of a complicated trilateral trade negotiation unfolds, a conversation between the U.S. and Canada may follow. That's when Canadian negotiators may find themselves weighing potential gains against continuing to play defence on dairy.